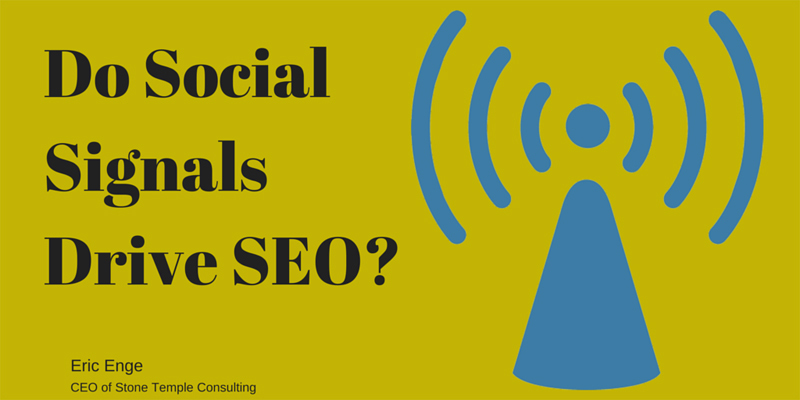 Posted byOmi Sido 2nd April 2015 Leave a comment on Do Social Signals impact our SEO? So Do Social Signals Drive SEO? Many people/clients are asking me the same question over and over again: Do social signals drive SEO? In a way how do social signals impact search engine rankings, do they at all… and to what degree. 1. #Google say that they don’t use social at all for #SEO . 2. Social media links are nofollow so #PageRank cannot be passed to the link. Spend some time analysing this article please. I did and I realised that whether Social Media is boosting directly your SEO or is just acting as a PR channel does not matter. When implemented properly it does increase your website visits and this should be more than enough to convince you or your boss to invest more time and money in targeted social presence. Now I am leaving you with the almighty Eric Enge and his vision of the connection between #social media and SEO – goo.gl/XaktRG . David Amerland had something to say on the subject (“A robust, carefully crafted Twitter presence can significantly aid your visibility in search by helping define your website’s relevance. ”) in his article ‘How Your Twitter Activity Helps Your Visibility in Semantic Search’ here: http://goo.gl/xtdYur. By the way this article/conversation between Randy Milanovic and some well known SEO/Semantic gurus like Ammon Johns, Stephan Hovnanian, David Amerland, Bruce Marko, David Kutcher, Teodora Petkova, Aaron Bradley, Bill Slawski, Sergio Redondo and Frank Gainsford is enough to convince every Social Media nonbeliever to “start building out his social media channel and start driving his business to new heights”. Do Google pick up on social traffic? Still wondering about the importance of social media for your SEO? I don’t think so.